Shooting Stars is our signature fundraising event, but even more importantly it celebrates the incredibly talented children in our schools. Children develop acts of all varieties (song, dance, music, acting, magic, etc.) for performance individually or in groups. Acts that are recommended from school auditions will audition before a select judging panel organized by the WEF. 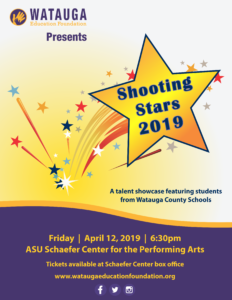 Finalists get the opportunity to perform in a professional-quality environment at the Shooting Stars talent showcase event in the spring. There is also a Visual Arts competition that begins with art teachers in the schools. Submitted artwork will be on display for a limited time and judged by local artists organized by the WEF. 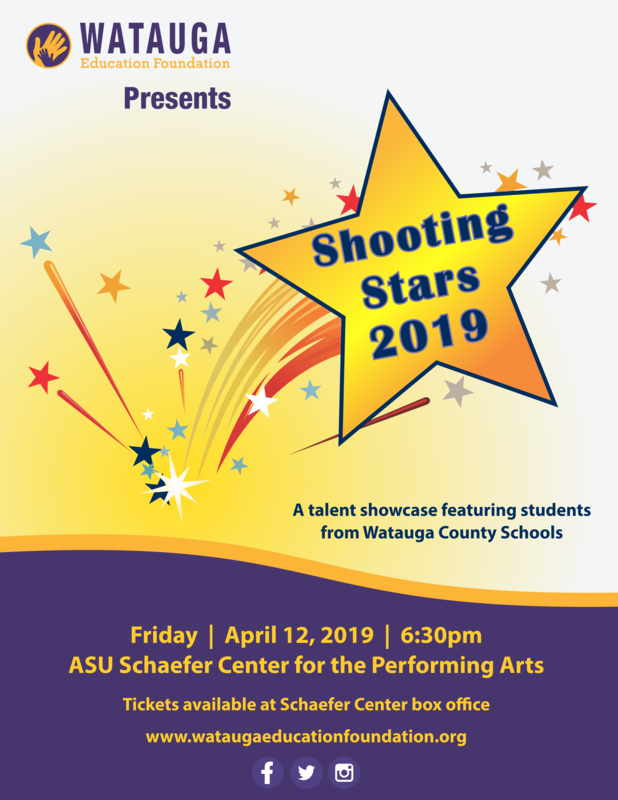 Finalists and their artwork are presented at the Shooting Stars showcase event in the spring. All submitted artwork will be on display at the Jones House during the month of April. The forms provided are fillable online, but note that parent signature is required.